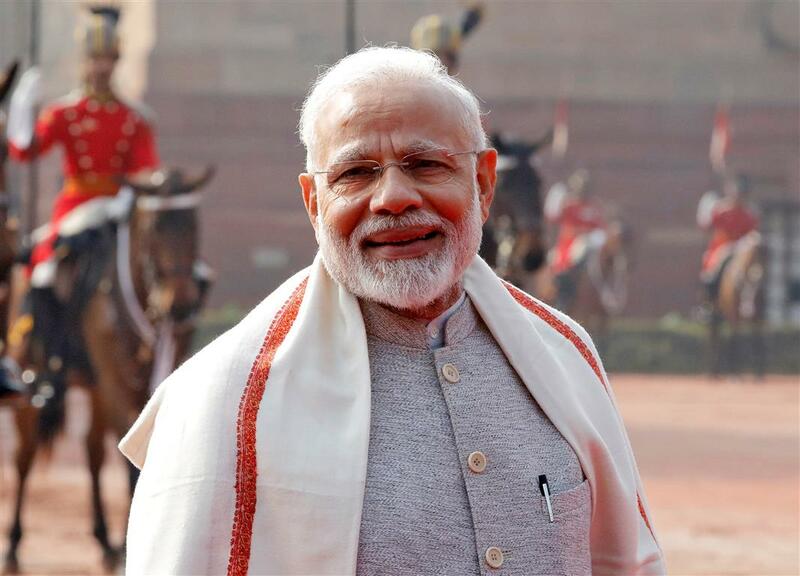 India's Prime Minister Narendra Modi has warned Pakistan to expect a strong response to a suicide attack that killed 44 paramilitary policemen in Kashmir, ratcheting up tension between the nuclear-armed neighbours. The car bomb attack on a security convoy on Thursday was the worst in decades of insurgency in the disputed region. India said it had "incontrovertible evidence" of Pakistani involvement, a statement quickly rejected by Islamabad. "We will give a befitting reply, our neighbour will not be allowed to destabilise us," Modi said in a speech, after meeting security advisers to discuss options. Pakistan denies that, saying it only offers political support to the Himalayan region's suppressed Muslim people. The White House urged Pakistan "to end immediately the support and safe haven provided to all terrorist groups operating on its soil". Pakistan is due to host peace talks next week between the Afghan Taliban and the United States as part of efforts to seek a political settlement to the Afghan war, but escalating tensions with India could divert Pakistan's attention. As outrage and demands for revenge flooded Indian social media, Arun Jaitley, one of the most senior figures in the Hindu nationalist-led government, told reporters India would work to ensure the "complete isolation" of Pakistan. The Line of Control, the de facto border dividing Indian- and Pakistani-held Kashmir, is widely regarded as one of the world's most dangerous flashpoints, especially after the two countries became nuclear armed states in 1998. Indian Foreign Secretary Vijay Gokhale summoned Pakistan's ambassador, Sohail Mahmood, and issued a demarche demanding that Islamabad take verifiable action against Jaish. India also recalled its ambassador in Pakistan for consultations, a government source said. Pakistan's foreign ministry also summoned the Indian deputy High Commissioner in Islamabad to reject New Delhi's "baseless allegations," a Pakistani official said. India's Home Minister Rajnath Singh flew into Srinagar, the main city in Indian Kashmir, and joined mourners carrying the coffins of the dead policemen, before they were sent to their homes across India. Hundreds of thousands of Indian troops are deployed in Kashmir. Singh said civilian vehicles will be stopped if there is a major movement of military convoys on the main highway following Thursday's attack. Soon after Thursday's attack, Jaish released photographs and a video of a young Kashmiri villager, Adil Ahmad Dar, who it said had carried out the suicide attack on the convoy. Chinese foreign ministry spokesman Geng Shuang expressed "deep shock" at the latest attack and said Beijing hoped "relevant countries in the region" could cooperate to combat the threat.